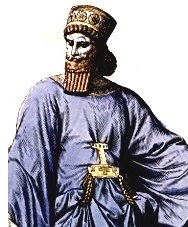 Haman - Long before Hitler tried to exterminate the Jews in Europe, Haman did the same in the Persian Empire. He was the highest ranking official under the king and hated all Jews because of Mordecai. So Haman put together a plan to eliminate them all from the Persian Empire. 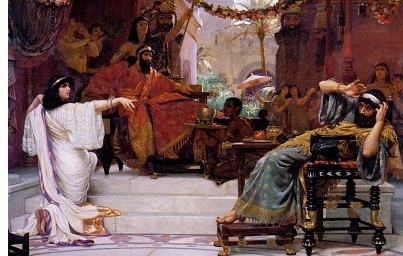 When Queen Esther learned of Haman's plan, she sought to save her people and devised a plan of her own. She prepared a banquet and invited the king and Haman to attend, which Haman interpreted as an honor. 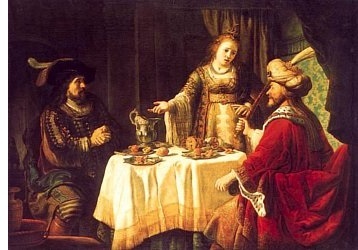 On the day of the banquet, Queen Esther revealed to the king that she was Jewish and therefore targeted for execution by Haman.